A Seven Sisters reading – just our own work this time! Everyone is welcome to bring along a poem to read. A launch for family and friends of the book written by all of the children at the national school during a Creative Ireland-funded three-day workshop in October. 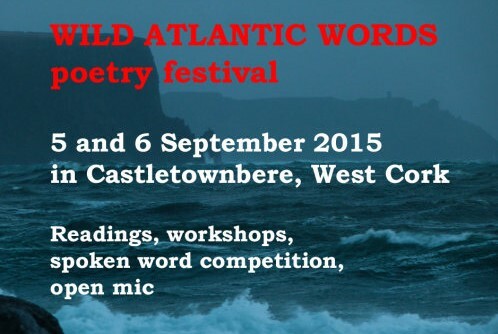 Wild Atlantic Poets – in conjunction with the Ennis Book Club Festival (new date after the Festival’s cancellation in March). Please bring a favourite poem to read , especially one by a non-Irish poet. Members of the Poetry Collective will read work by other poets, as well as their own. ALSO – The Poetry Collective hosts the prize-giving and readings by winners of the Every Child A Poet poetry competition for children from national schools in Co. Clare. Reading poetry for Christmas, and from This Little World. Leaves Literary Festival – organised by the Arts Office, Laois Co. Council. Time: Ah sure, come at 8.30pm for all the craic – we’ll be reading around 10pm! I’m a featured reader alongside the American poet, Tamara Miles. Thrilled skinny to have been invited to be a part of an evening of music from ConTempo Quartet and readings from the students of the MA in Writing. I can’t wait to hear the results of a year’s collaboration at d’aul Alma Mater! Reading a selection of poems. We also invite you to read yours – or a poem that you happen to like! CULTURE NIGHT – Reading with Eleanor Cummins, in the company of books! Reading some poems, and looking forward to hearing Ellie’s work. I’ll be reading poems from This Little World (Doire Press, 2017), and Martin will be reading fiction. I will be reading from my poetry collection This Little World (Doire Press, 2017). I look forward to your company, and this wonderful festival! ‘On the Nail Literary Gathering’ with Limerick Writers’ Centre. The Ennis launch of This Little World takes place at 1pm at the Record Break Café – that great place for coffee … where the Poetry Collective and their gang like to hang out. Also on the bill will be music and poetry from Mike & Austin Durack. And sure, there’ll be a few books for sale too! 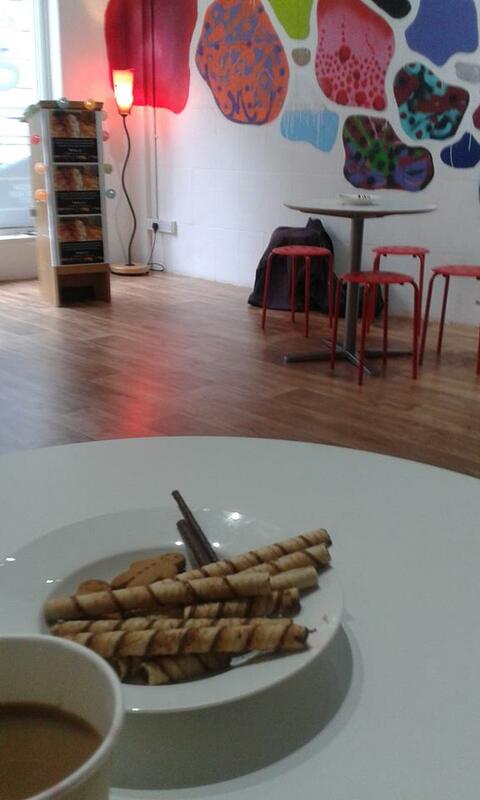 The ‘Over the Edge Writers’ Gathering’ is being held in The Kitchen at Galway’s City Museum at 8pm. I’ll be reading from This Little World. If you can come along, it would be great to see a friendly face. Pass it on! Join me and Lisa & John from Doire Press for the launch of my first poetry collection This Little World, at 1.00pm in the Galway Arts Centre on Lr. Dominick Street in Galway. There’ll be wine, a few poems read, and books signed! Everyone is welcome. I will be reading with others members of the Poetry Collective at the Library’s lunchtime event. Please come along, and bring one of your favourite poems to read for us. It’s your Poetry Day too! There will be a special Poetry Day Open Mic at the Record Break Café at 7.30pm that evening. Everyone welcome. I’m reading at February’s poetry slot at the Record Break Café in Ennis. Door open at 7.30pm with poetry is from 8-9pm, followed by music from Pele, a local musician and a pal of my sister’s as it happens! This time, I’m delighted to be joined by Limerick poet & playwright Mary Coll, who will be reading from her new collection, Silver. Join us for what promises to be a great evening. And remember, Sinéad makes great coffee! Reading at the Open Mic at Shannonside Winter Music Festival in Bunratty. The first poetry event in the festival is Cork’s spoken event, ÓBhéal, on tour – with Paul Casey as MC. It promises to be a great evening of guest readings, open mic, and for me … my first attempt at the Ó Bhéal five word challenge! See the main page for the full blog. ESF Poetry Breakfast at the Record Break Café , Ennis. Join the Poetry Collective for coffee and poetry at 11.00am. I will be reading poems with writer Frank Golden and students of the Burren College of Art at 8.00pm this evening, here in Ballyvaughan. A fire and candles will be lit in the old tower and we will swap themes in poems and prose. There really should be a great atmosphere in such an interesting venue. Time: 9pm Location; The White House Pub, 52 O’ Connell Street, Limerick. Looking forward to a return trip to the Beara Peninsula. I’ll be reading at 6.00pm at the Sarah Walker Gallery with the other prizewinners. The Clare Poets will be reading from 6-8pm. 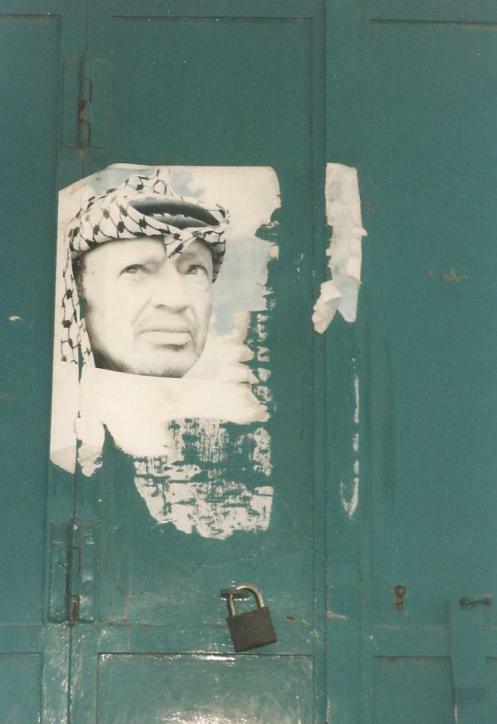 I will read from Unsettled, A West Bank Journal. 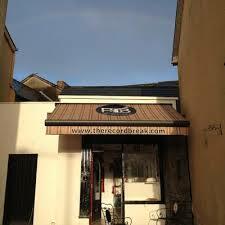 I will giving a poetry reading in the Record Break Café, Lower Market, Ennis at 8.00pm on May 1st. Thanks to Sinéad for the invitation to her great space. Come along and keep me company, have a coffee, and listen on to more poetry from Donal, and music afterwards. The readings are in conjunction with an art exhibition ‘To be or nought to be’ – the result of a collaboration between poets from Clare and artists who responded to specific poems. Nearly a year in the making, it’s fantastic to see the final results. For a preview, see the webpage of artist Carmel O’ Doherty, w ho coordinated the project with poet Patrick Stack. All are welcome to Glór on Friday! My first gig as a featured poet – at the Strokestown International Poetry Festival. I read with the poetic force of nature that is Sarah Clancy and met her for the first, but not the last time. Grateful always to John Kenny and Martin Dyar for setting me on the path.